The entry for this open planned office sets the tone. 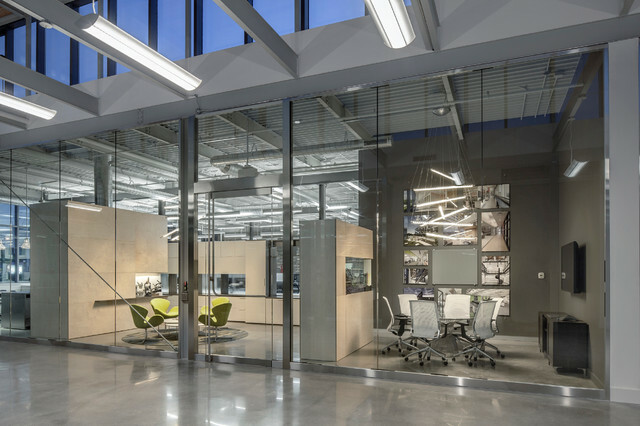 A meeting room open to the public atrium with a gallery wall showing the architectural firms projects provides window front advertising. Punchy lime green retro reception chairs punctuate this space.